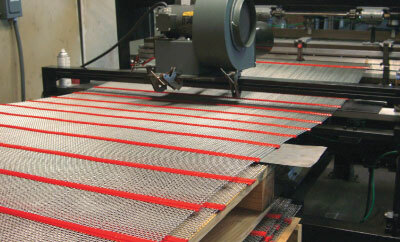 SuperFlow™ Hybrid polyurethane and wire screen. Vibrating action combined with the high percentage of open area, makes SuperFlow an exceptionally long-lasting and self-cleaning screen. Unified engineers designed the independently vibrating wire to frequency levels that prevent material buildup and blinding while correctly sizing product. Four screen styles are offered for your specific needs. In 2015 FocusOn Mining, Aggregates and Construction, Publisher / Editor-in-Chief, Rick Vanderkieft posed a number of industry and company related questions to Bob Kleason, Exec. Vice President of Unified® Screening and Crushing. Bob spoke about the current state of the industry and the new Unified management philosophy. It’s been a while since the first FOA interview with Bob and since then, the industry has faced some tough challenges. Bob told us that the company was poised to handle the future market demands and changes. What leadership position has Unified perfected to satisfy customers and to increase their market share. Robert Rue, on behalf of FocusOn, visited the Unified® Phoenix facility in Gilbert, AZ to meet with the COO Andrew Lentsch. Watch the video (above) and listen to this brief discussion between Robert and Andrew. © 2019 Unified Screening & Crushing All rights reserved.